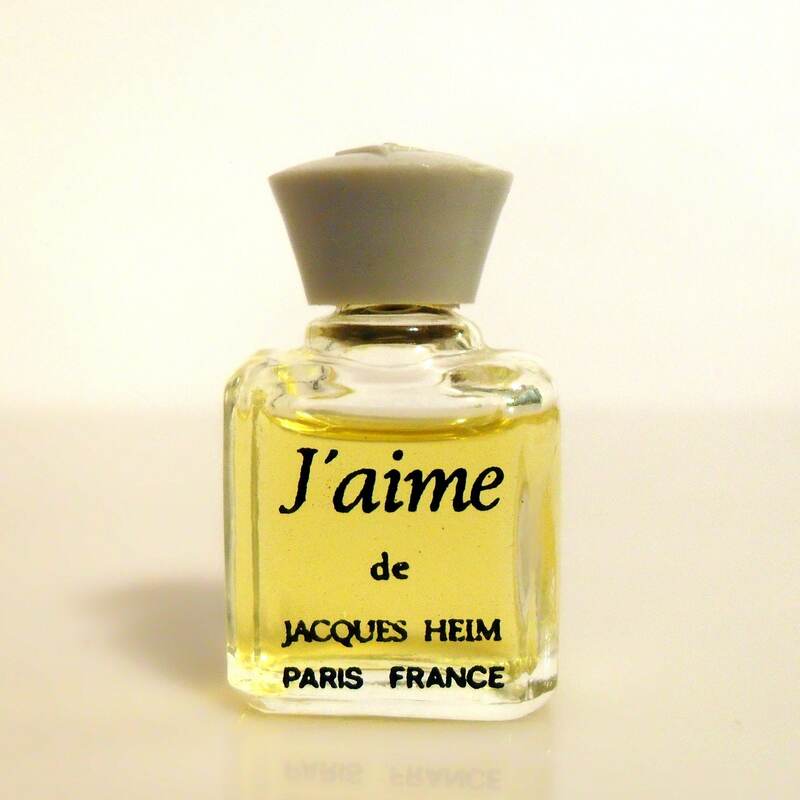 Vintage 1970s J'aime by Jacques Heim Micro Mini Perfume Miniature Parfum Splash Bottle. The bottle is full. Bottle stands about 0.75" tall. Jaime by Jacques Heim was launched in 1945. It is classified as a dry green floral chypre fragrance for women. It was said to be a "subtle, delicate and tenacious" fragrance and the inspiration for the Christian Dior fragrance J'Adore. This fragrance has been discontinued since the 1980s and can be hard to find.